Numerous studies conducted have shown that mothers who are massaged regularly in pregnancy are more nurturing, can more easily read their baby's cues and can tolerate the fussiness of infants more easily than those that aren't massaged. So it doesn't hurt to have your partner give you a massage and/or schedule one with a prenatal massage therapist occasionally throughout your pregnancy. Constant nurturing of a new baby depletes mom's oxytocin levels (oxytocin = happy, bonding hormone) Postpartum massage helps mamas connect to their own body through nurturing touch and boosts emotional reserves for better connection with their partners. 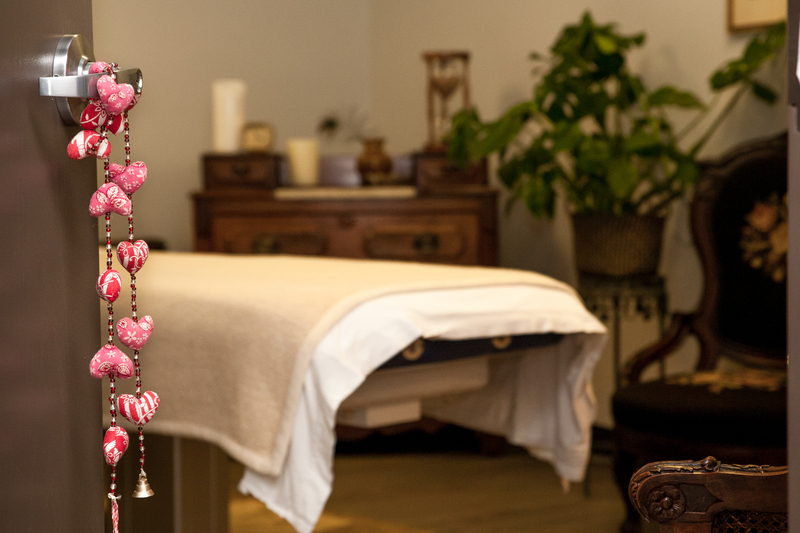 Setting up a Massage package for Mama, also available as an instant online gift certificate, makes self-care seamless. She can breeze into and out of the Spa, payment is taken care of and appointments can be booked online, all in advance if desired! Self-care made Easy! Babies are welcome at a Mellow Mood! Our sessions have extra time built in to include baby’s needs! Baby can join us on the massage table either in side-lying or in semi-reclined positions, feeding and snuggling as needed! We also have a private room at Joy Collective called the Quiet-ish Room for families to use to feed baby before and after or to have a loved one come and hold baby and bring baby to mama as needed! Babies love this bonding time during immediate postpartum and are happy to be skin to skin during the massage! HeatherLyn will be with mama for a 2 hour home visit, during which she will do a full body postpartum table massage. Baby can be snuggled with mama on the table in side-lying, nursing as needed. Mama can also put a robe on and a break can be taken to feed the baby in a different position while HeatherLyn massages Mama’s feet. HeatherLyn will also be doing light belly massage, checking in on the uterus and helping the core re-ignite after delivery. If mama has had a Cesarean section, HeatherLyn will check on the incision and give mama a lesson for scar care. HeatherLyn travels to the greater Boulder area and this treatment can be arranged right after the birth. Weeks 1-4 are the most popular times.